This year just like last I am going to Fragapalooza. I’m going under the handle t9999clint as always, and anyone wishing to say hi is welcome to. My plan is to take a few videos and post them up on here in the next few weeks. 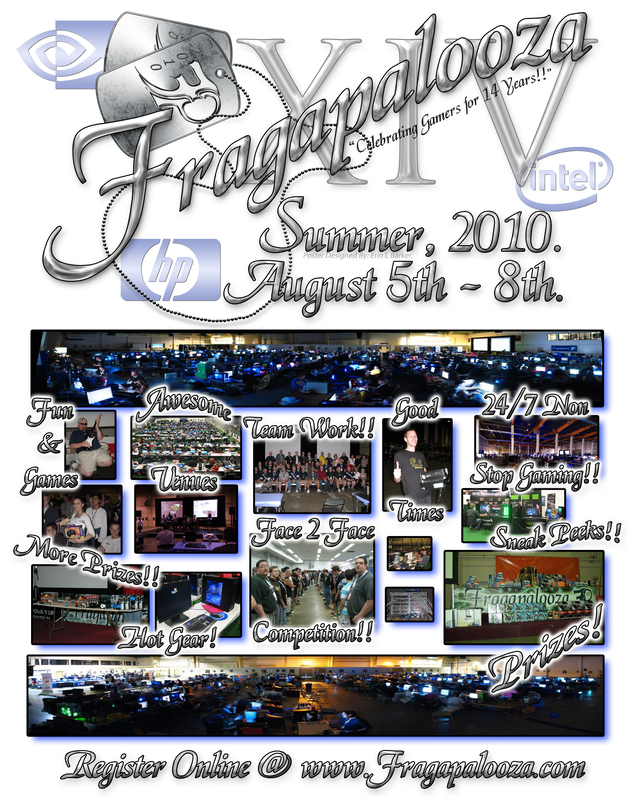 Fragapalooza is an annual video game festival/LAN party that takes place in or near Edmonton, Alberta, Canada. This year it’s taking place in Leduc at the Leduc Recreation Center on the Aug 5th to Aug 8th. 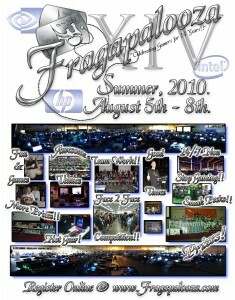 Fragapalooza is primarily a B.Y.O.C. (Bring Your Own Computer) event where attendees bring their own computer and play PC or console games on their network. My favorite thing to build is Gaming rigs and there are going to a lot of other enthusiasts like me there. I plan on having fun playing games with other people, talking to fellow system builders and seeing what crazy systems other people have made. There are no breaks between days as this is a all night long event. I don’t think I’m gonna try and stay up the entire time this year like I tried to do last year, as it didn’t go too well. Custom PC has had the same old “Under Construction” Page for about 3 years now, and over the years several things have changed. We are still at the same place and we still build some of the fastest computers around, however Custom PC is under the process of rearranging it’s self and a large part of this will be online. This site will form into a technology blog to help the people we see day to day, as well as help anyone else who happens to stumble across the site. Any interesting news I find will be added to this site as well as a few How-Tos for some simple tricks people ask me about. Please leave a comment about anything you think should be added to the new site.